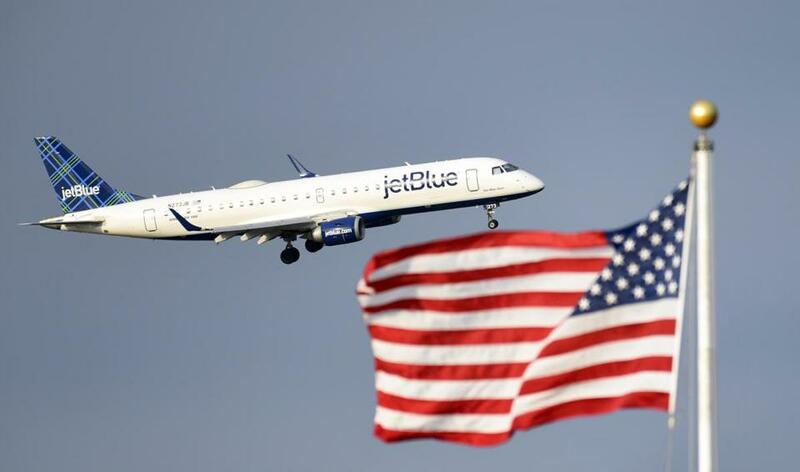 After teasing travelers for months with hints that it will launch a trans-Atlantic route, JetBlue officially announced Wednesday that it will begin flights between Boston and London in 2021. Flights will be operated on the Airbus A321LR, which, with a range of over 4,000 miles, can easily travel to London, and eventually beyond if the airline opts for further transcontinental expansion. JetBlue has 13 of the fuel-efficient planes on order and it will fly them for the Boston route, in addition to a New York-to-London route. JetBlue has a unique opportunity to carve out a mid-price niche for itself between low-cost airlines such as Norwegian Air, which offers bargain, bare-bones European flights, and legacy brands such as American Airlines, United Airlines, and Delta Air Lines, which are pricier, particularly in business class. Hayes said the London route is being added as a result of customer demand. JetBlue has more flights out of Logan than any other carrier and therefore, he said, it was a logical hub to launch the London route. The airline has built a loyal following with the most legroom in economy class among US carriers. It’s also the only US airline that offers free, high-speed Wi-Fi and live television. The airline entered the business travel market in 2014 when it introduced Mint, its version of a premium cabin with lie-flat seats, along with meals and spirits. It’s looking to lure business travelers from other airlines by offering Mint on the London route. When JetBlue introduced Mint class from Boston to Los Angeles, introductory fares started at $599. If the airline takes a similar path for the London route, it could easily undercut other airlines that charge thousands for business class travel to Europe. The airline has yet to say whether the Boston flights will land at Heathrow, London-Gatwick, or another London airport. Hayes also confirmed reports that the airline is looking at starting flights to Amsterdam.